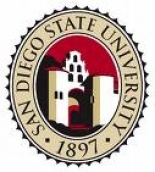 January 1, 2013 (San Diego)--San Diego State University Police have issued an alert warning of a violent assault that occurred at 2:40 a.m. in the 5700 block of Hardy Avenue. Five African-American men in a silver 4-door BMW approached a male victim and attacked him without provocation, kicking and punching him before stealing his white iPhone, according to police. The suspects, all about six feet tall, wore blue jeans. One suspect wore a white T-shirt with orange sleeves. They fled east in the vehicle after the crime. The victim was not affiliated with SDSU. San Diego Police are investigating this incident. Anyone with information or questions should contact the San Diego Police Department at 619-531-2000, or you can remain anonymous by contacting Crime Stoppers at 619-235-8477. You can also provide information by sending an e-mail to police@mail.sdsu.edu.